This guide was originally created by Nicole Pagowsky and Niamh Wallace at the University of Arizona and adapted for use at Wellesley College with their blessing. Many thanks to both of them! 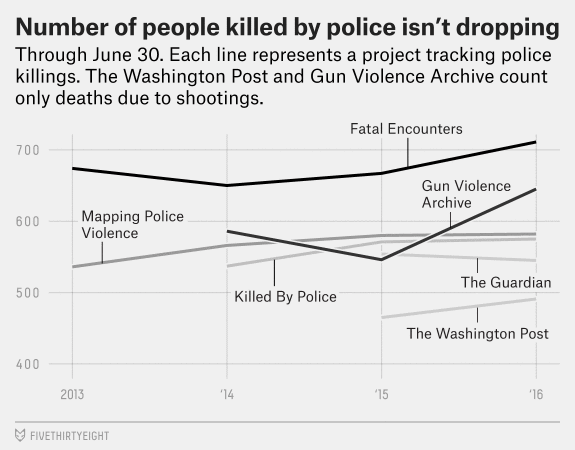 This guide is meant to serve as a starting point for students and faculty to better understand the killings of unarmed black people by police since Michael Brown's death in Ferguson, MO in 2014, and the subsequent protests and unrest that spread from Ferguson to New York City and across the United States. It also offers resources that may be used by Wellesley College faculty to teach Ferguson and related topics in their courses. We will try to keep this guide as up-to-date as we can. We welcome additions to this research guide. Please email your librarian or askus@wellesley.edu! On August 9, 2014, 18-year-old Michael Brown, a black, unarmed man, was fatally shot by Darren Wilson, a white police officer, in Ferguson, MO. There were conflicting viewpoints regarding the events leading up to Brown's killing on whether he was surrendering or approaching Wilson. On November 24, 2014, a grand jury did not indict Wilson. Both Mike Brown's death and the grand jury's decision led to protests across the country touching on racial tensions and police brutality. Police in Ferguson reacted with a militarized response, both immediately following the event and again after non-indictment, exacerbating the unrest. Darren Wilson later resigned from the police force. 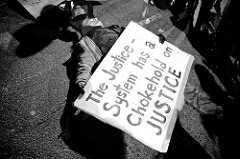 On July 17, 2014, Eric Garner, a black, unarmed man, was fatally restrained with an apparent chokehold by Daniel Pantaleo, a white police officer, in Staten Island, NY. The event was recorded by a bystander. The city medical examiners office ruled Garner's death a homocide. On December 4, 2014, a grand jury declined to indict Pantaleo in the death, setting off additional protests in New York City and across the United States. 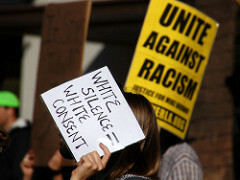 As of December 2014, protests continue and greater discussion is happening around the country regarding structural racism and violence toward black people by white police. 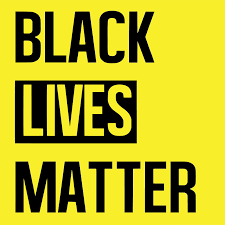 Though these events triggered the Black Lives Matter movement, they are by no means the first extrajudicial killings of people of color by police and others.